On Creatubbles, you can "favorite" creations, challenges, galleries, profiles and partners to save and view instantly at a later time. Favoriting is like bookmarking. 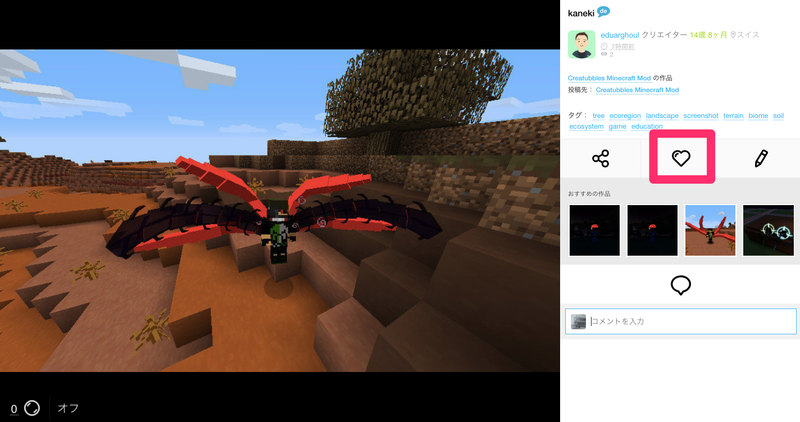 If you favorite a creator profile, you will receive notifications when the creator uploads new creations. *Favorite can be done only from the web at this point and cannot be done from mobile apps. In this article, you will find how to "favorite" and how to easily access the items you favorited. It's super easy to favorite! 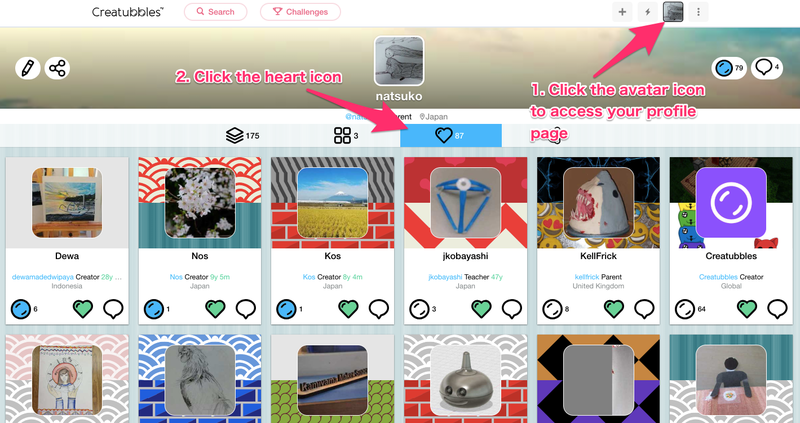 Whether it is creation, challenge, gallery or profile, simply click the heart icon of the creation detailed page. The heart color changes if you favorite it. You can find the list of your favorited items by accessing your profile page and clicking the heart icon. Please contact us at support@creatubbles.com if you have any questions!